In the morning, your driver will meet you at your hotel to take you to the city of Kampong Cham, located along the Mekong river. On the way you will stop at Skun, and discover a typical Cambodian snack: fried spiders. This is one of the locals’ favorites, but if you’d rather taste some of the fried insects, your guide will be glad to help you choose. Then continue to Phnom Srei mountain. Located a few miles north of Kampong Cham, the hill offers a resting environment surrounded by nature as well as a beautiful view of the Mekong river. Your driver will then take you off the beaten tracks to visit the Nokor Bachey temple. The site from 11th century is an Angkorian temple with many statues which surprising well preserved. After the visit, you will enjoy lunch in Kampong Cham. In the afternoon, your driver will take you up north along the Mekong river to discover the Hanchey temple. You will be able to see the simple life of this Buddhist temple and your guide will provide you with interesting insights about the daily life. Then you will return towards Kampong Cham to discover the island of Koh Pen. Koh Pen is a small island located on the Mekong river. You can either rent a bicycle or a tuktuk (not included in the tour) to explore the island and the daily rural life along the Mekong river. Overnight in Kampong Cham. In the morning enjoy the breakfast at your hotel before your driver meets you to continue your tour towards the city of Kratie. 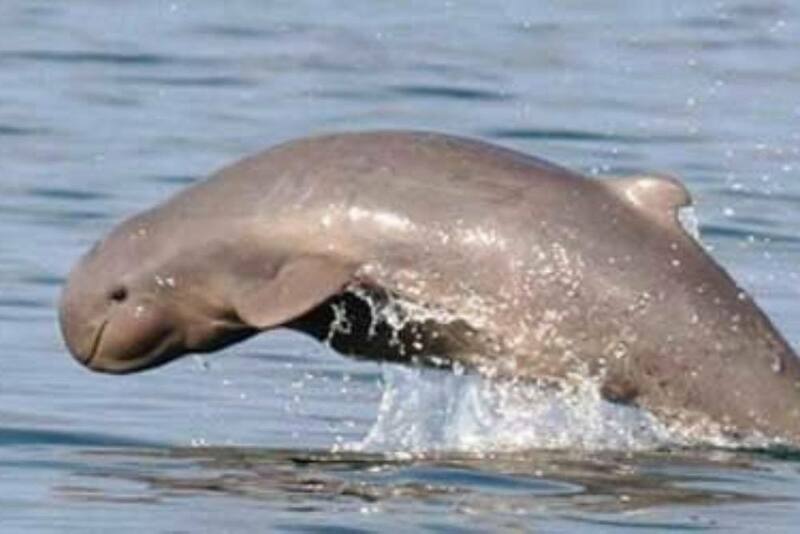 Once arrived, you will embark on a small fishermen boat on the Mekong river, and try to sport the famous Irrawaddy dolphins. Their large and rounded head makes them look similar to the belugas and they are definitely the pride of the region. Then you will drive up north to reach the village of Sambour. Here you will visit the 100 columns pagoda, which is hosting a local turtle conservation center. The Buddhist monks will show you how they try to protect the Mekong river turtles, which are unfortunately also a gourmet meal in the region. Later in the afternoon, return to the city of Kratie where you will explore the island of Koh Trung. Located on the Mekong river, the island provides a quiet and relaxing atmosphere and you will witness the typical Cambodian lifestyle. You can either walk or rent a bicycle to discover the local farms and fishermen at work. Overnight in Kratie. In the morning you will leave the city of Kratie and the Mekong river to drive to the province of Mondulkiri. Located along the Vietnamese border, the Mondulkiri province is the home of many ethnic minorities in Cambodia. Once you arrive in Sen Monorom (the capital city of the province), your guide will take you to visit one of the minorities that take care of local elephants. The indigenous have created an elephant sanctuary that allows them to rent large parts of the forest, and thus protect it from logging (which is the main reason for the decrease of elephants in the area over the last decades). There you will go for an elephant tour through the jungle. One of the highlights will be the stop at a waterfall where you will get the opportunity to help the mahout wash the elephant. At the end of the day you will return to the city. Overnight in Sen Monorom. In the morning you will enjoy your breakfast at your hotel and discover the Mondulkiri coffee, that is grown in the region. Then your driver will take you to explore the province around Sen Monorom. First you will reach the Bousra waterfall (near the Vietnamese border), where locals like to enjoy the beautiful nature. Then we will take you to the village of an ethnic minority living near the waterfall. The eastern part of Cambodia is the home to many ethnic minorities that have been living in isolation for several centuries. These minorities speak their very own language and have kept their traditions alive despite the growing interactions. Your guide will explain the history and culture of the villagers. Then you will return to the waterfalls to enjoy a picnic lunch. If you wish, you can enjoy a swim under the waterfall before heading back to Sen Monorom. On the way you will visit one of the local pepper plantation (as agriculture is still the major activity in Cambodia), before reaching the hill of Phnom Dohkrormom. From there you will enjoy the scenic view over the city of the Mondulkiri province. Overnight in Sen Monorom. Today your driver will meet you at your hotel, and you will take the road towards Banlung. Banlung is the capital city of the province of Ratanakiri, which in Khmer means ‘the Mountain of Jewels’, the most remote and isolated region of Cambodia. Here, time is moving much slower than anywhere else and the modern world has barely hit the province. People live in small village (usually a few dozen families) and still follow the ancient rules in their daily lives. Your first stop will be at the beautiful Katieng Waterfall, where the local tribes live with a very strong bound to nature. Then you will discover the beautiful Yeak Laom. This Cambodian hidden gem is a lake formed by a volcanic crater over 4000 years ago. You will be amazed by the clear water of this perfectly round lake and the beautiful surrounding nature that create a magnificent landscape. As you may enjoy a swim in the lake with the local kids, it will give you an idea of how the entire region used to look like, as it now struggling with the growing forest logging. In the afternoon you will visit the city of Banlung and its market, or enjoy resting at your hotel. Overnight in Banlung. In the morning, you will enjoy the breakfast at your hotel (that shall also prepare a picnic lunch for you), before your driver comes to meet you and take you to the district of Ta Veaeng. Here you will dive into the cultural world of the ethnic minorities that have been living in the area for centuries. You will discover how the different ethnic groups have developed their own way of organizing their village. The villages of the Kreung hilltribe are built in a circular manner, while the Jarai villages are made of longhouses. Your guide will share with you his knowledge of the different culture and you will get an incredible insight into ancient habits. In the afternoon, you will return to the city of Banlung. On the way, your driver will try to show you one of the sapphire or ruby mines of the area. The access is never guaranteed as the mines are privately owned and usually under high surveillance. Overnight in Banlung. Today we will leave in the early morning to reach one of the most adventurous highlights of your trip: the Temple of Preah Vihear. For lunch you will do a first stop in the city of Krong Preah Vihear. Then we will continue our journey till we reach the Temple of Preah Vihear. As the temple is located on a nearly 600-metre high cliff, the final leg has to be done boarding a special jeep. However, once you reach the mystic temple, you will not be disappointed by the efforts to get there. Preah Vihear is an ancient Hindu temple complex dedicated to Shiva, which construction started in the 9th century, and was mainly completed by the ruling Kings Suryavarman I and II. Its setting atop the cliff makes it the most spectacular temple built during the six-centuries-long Khmer empire. When reaching the highest part of the temple, you will enjoy a stunning view over Cambodia, with a chance to see Angkor Wat if the sky is clear enough. Until today, the temple of Preah Vihear is a sensitive geopolitical topic, as Thailand disputes ownership since the International Court of Justice ruled in 1962, that the temple belongs to Cambodia. After the visit of the temple you will return to your car, and your driver will take you to Sra’aem. Overnight in Sra’aem. Start the morning by enjoying the breakfast at your hotel, before your driver meets you. Then you will take the road towards Siem Reap, the city hosting the world-famous Angkor sites. On the way you will stop at Koh Ker. This ancient metropolis used to be the capital city of the Khmer empire at the end of the 10th century. The abandoned city is surrounded by the jungle and the unusual pyramid makes it a very special visit of your tour. Only few tourists know this place, which makes it even more unique to explore. Then you will continue your trip and reach the Angkorian site of Beng Mealea. This vast temple complex is partially covered by vegetation and its history is still mostly unknown, making it a unique exploration playground. After your visit, you will leave the site dating form the 12th century and reach your final destination: Siem Reap. After checking in at your hotel, and can walk through the city exploring the area around the market. Overnight in Siem Reap. With this tour of 21 days and 20 nights tour, you will discover the all highlights of Cambodia, including its most remote areas. You will explore the mythical temples of Angkor and Preah Vihear, discover the ethnic minorities far up North, see Cambodia's colonial past, admire the southern cost and visit the bustling capital of Phnom Penh. During this private trip, you will be escorted by your driver who will guide you through Cambodia to take you to the most beautiful sites of the region, and also introduce you to the Cambodian culture and its gastronomy (and much more...).